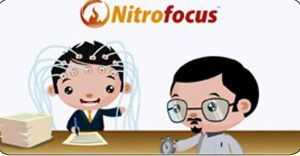 Nitrofocus Brainwave Program – My #1 Focus & Productivity Program! There are two nitrofocus products on the web. This one, which is a brainwave entrainment program that helps you with study, focus, and productivity. The other one is Nitro Focus No. 3 which is a health supplement. I will talk about the brainwave entrainment program here. This short nitrofocus review shows you how the brain music program is meant to help you supercharge your mind power and energy to help you with most tasks like, work, study, home chores, workout or others, the science behind it, how to use it, and the benefits as well as the things to be wary about it. If you have any questions on it, you are more than welcome to leave them below, and I’ll attend to them soonest. Okay? Sweet! Let’s get to know this product better. 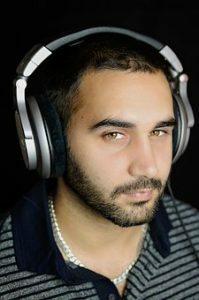 This is a collection of mp3 audio tracks that are meant to help you get more productivity and a higher output than you normally get. It will help you study, do home chores, handle more tasks at work and other demanding tasks in the shortest time and most efficient way possible. It simply uses brainwave entrainment technique that hires a brain technology which studies different states and patterns of your mind, like focus, concentration, sleep and creativity through your brain waves. They capture the waves using an EEG machine which then translates them into frequency waves as sounds which when you listen to, your mind tries to copy them, and thus induce the state of razor sharp focus and give you mental energy. Based on my extensive research and personal experience, it is the best focus and productivity program in the market right now. Well, as earlier said, it uses brainwave entrainment, that uses exertnal sound frequencies, which help get the brain into different states like complete relaxation, undisturbed sleep, pure focus and concentration, to mention a few. It uses key gamma and beta patterns of frequency which are best known to boost the level of focus, super high concentration and super excellent productivity. This is very simple. Nitrofocus is an audio file that comes as a music file, and after you download the sessions, you are going to find them in your music player in any of the devices you choose to make your downloads from, an iPhone, smartphone, laptop or even PC. • Play it on the background while you work! You can use headphones or speakers. Headphones or earphones are best if you are studying, or working on tasks and when you want to use devices like iPhone, iPod, smartphone or other tiny devices. You can also use bone conduction headphones which will let you listen to the sessions smoothly and effectively, and still have the ease of taking phone calls as your ears are completely free. If you are working on home chores, or studying in your room, you can use speakers which have moderately high sound and quality. Please don’t use laptop speakers as they won’t bring good results. Get bigger ones. Remember to play the sessions with moderate volume too, to help reap the full benefits. • People who are driving or using any dangerous machinery. • Not recommended for people below 18 years of age. Well, there are 5 main sessions in the program, which last for 60 minutes (1hour) each, and are all specified to increase focus and concentration as well as productivity in different tasks. There are also supporting mp3 audios, which last for 5 to 45 minutes which help you achieve other awesome mind states. Let’s take a closer look at each one of them. 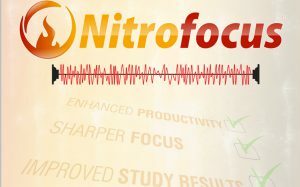 • Nitrofocus Classic Mp3 (1 hour long) – This is meant for general tasks, working on your college project, clearing your to do list and other focus-requiring activities. It uses isochronic tones and brown noise that feels like a strong wind or ocean waves. It clears distractions and mental chatters and help you only focus on the job you are on. You can play and repeat it as often as you find fit. • Nitrofocus Digital Mp3 (1 hour long) – This is best for boosting creativity and doing creative stuff like drawing, deep thinking and reasoning, and painting. At first, it feels unsteady and tending to wobble but soon enough you get start experience the real thing. It uses upbeat artistic tunes. • Nitrofocus Easy Mp3 (1 hour) – This is best suited for deep reading, learning and studying sessions. It’s smooth, soothing and relaxing, and will help you understand things very easily and faster. It uses upbeat foot tapping background track with guitar strings which are light hearted. • Nitrofocus Workout Mp3 (1 hour) – As the name suggests, this mp3 works best for people who want to work out, do strenuous home chores, and other high energy activities like building and construction, and others. It also feels a bit wobbly too but with time, in around 3 days, you get the hang of things. It uses Ibiza workout mix, it’s a really super high energy track. • Nitrofocus Ocean Mp3 (1 hour) – Writers, researchers and planners, this is for you. If you are the people who want to deep attention at night to gather your thoughts and get the ability to come up with content masterpiece, plans or projects, this one will accelerate the time to get there. It uses gentle ocean crash and spa like music. • 5 Minute break ( 5 minutes) – This helps to calm down your nerves after hours of concentration and productivity. It will help you relax and gain more energy to get back in the zone. This one really relaxed my nerves. No need to use headphones. • 10 minute break mp3 (10 minutes) – This one goes deeper than the first. Listen to while taking a few deep breaths with your eyes closed. Most users have also said that it helps with memory too. • Brain Booster Mp3 (45 minutes) – This is something more like a morning mind power pill. It helps you feel fully awake and powered up. Listen to it as you go through your day’s tasks, working plan and schedule. But don’t use to together with focus gym session or analytical builder, it’s not good. • Focus Gym (45 minutes) – This helps train your brain for focus and intelligence. Listen to it once each day with your eyes either open or closed. Pay attention to the sounds and you will notice a huge amount of change. It also helps boost your IQ scores and levels of concentration. • Memory Commit (40 minutes) – This improves your memory by getting all what you have absorbed into the short term memory immediately to the long term memory. It’s best used when cramming for exams. Listen to it immediately you have finished cramming and it will make everything memorable. • Analytical Builder (35 minutes) – This will come in handy for building your non verbal skills. It will help you hike your reasoning skills, problem solving skills, physics, computer science and other mathematical concepts. It has also been found great in treating ADD and ADHD. • Anxiety Reducer (23 minutes) – As the names hints, it reduces anxiety especially for huge events coming up soon. It rids you of anxiety and powers you up with focus to help you take on the big board meetings, interviews, or just general anxiety. For big events, listen to it on the day the actual event is going to be held, minutes before it starts, you’ll be amazed. This requires headphones. There are also guides for making the most of the program as a professional, a student and anyone else who wants to increase efficiency and output. They are specific and work fantastic! You’ll find them in the user guide. You pay a one time payment of $97 for the program. You are also allowed a 7 days free trial. In the free trial, you are given access to the first main session, Nitrofocus Classic Mp3 and one supporting audio, the 5 minute break as well as a user guide for the system. You actually get an instant download link after signing up. After 7 days, if you don’t cancel, your card will be automatically charged for the whole program and you are going to unlock all other audios in the program. Something that turned me off with the program was getting other products like Brain Salon and brainev being pushed on you before you get the instant download link. These programs are great and I have been using them for months now but they don’t need to push on folks when they want other specific ones. Otherwise, the program is great and you will surely love it. I have this program on my tablet and it is really amazing. The first few days may be a bit confusing, but from day 3 onwards things start getting interesting, and ultimately brilliant within a week. I have been on other study and productivity enchancing programs but I found this one to be on its own unique level. It’s like having your whole day assured of full productivity and refreshing breaks without any side effects. I highly recommend you try it out and experience the deep effect yourself. And that is all there is to it about Nitrofocus. If you have any burning questions or want to leave a comment, feel free to drop them below and I’ll be glad to start a conversation.